In the classroom: Cough, cough. I'm getting there. Cough, cough. I'm getting there. Children have a sixth sense about their teacher's voice and grow quiet to watch it disappear. As soon as it's gone they make up for the loss by increasing the volume of their own voices. Creative writing (or not so creative, which in our case meant dictation straight from a novel) soothes the savage beasts has a calming effect on children. Small group work sounds like a good idea for a teacher with little to no vocal range, except when all of the students are working in small groups and the associated noise, whilst full of rich learning discussions, is slightly higher than the five sleepless nights can tolerate. It's OK to not plan every moment 100% thoroughly. Feeling like death warmed up has meant I've not planned quite as meticulously as I'd generally like to BUT by keeping my eye on the goals and intended outcomes has enabled me to plan loosely but carefully. I'm still reflecting but aside from a few organisational hiccoughs (not having appropriate resources because I was slow off the mark before school and didn't collect them) I'm pretty happy with how we've traveled. I'll let you know as I reflect more. A day off didn't kill me. I thought it might. Genuinely. I took only one day off (and that had to be forced by my husband and a visit to hospital) and suffered through it feeling guilty and anxious. I needn't have. My class was shared by the principal (!) and a good friend so they were in great hands. And if they'd copped a shabby reliever? They would have coped. And so would have I. Look out world, there's only a week and a half of school left from which I intend to squeeze as much as I possibly can. I wonder if my class realises that we're working right up until the end of the last day? 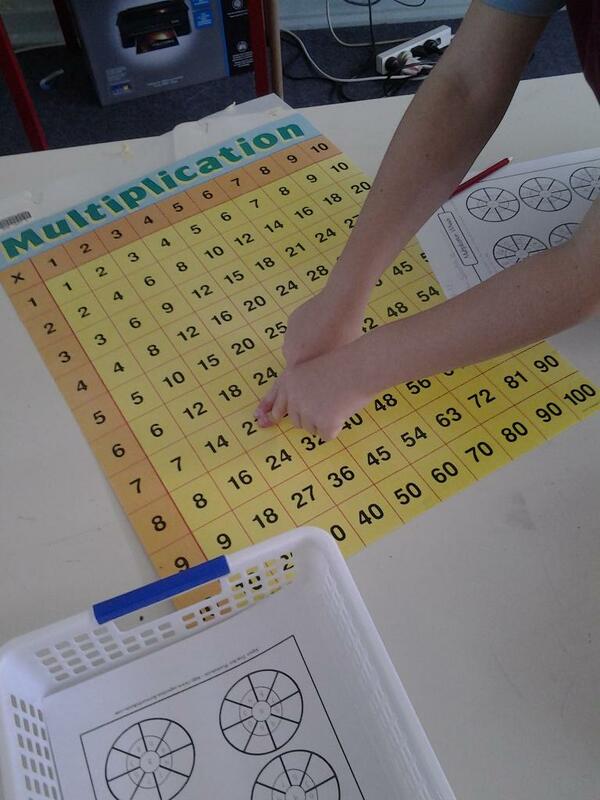 particular strategy during maths stations. On another, related but different, note... Isn't technology wonderful? This isn't exactly groundbreaking news but these last few weeks have reinforced for me the value of technology: both in the classroom and for me as a professional. Just by way of a quick example, I've been using my tablet to snap photos of the kids as they work. I have the Evernote widget on my tablet which enables me to upload the photos directly to a notebook - either for that particular student or for the particular project.Using Skitch I can directly annotate the photos to point out exactly what I'm trying to capture. Or I can record the children's discussions and upload that directly to their folders. Love. It. Professionally I'm forming a network of other professionals to whom I'm linked on Twitter (and elsewhere) and from whom I am constantly learning. Whether they realise it or not, this quasi-PLN has kept me company (and interested) through many nights when sleep was not an option.